Of all the fishing I’ve done this year, the genuine surprise of all has been my return to the match scene. From thinking “I should do this a bit more” in January, I have fished over a dozen matches and become hooked on regular competition. Stranger still, I’ve not done too badly. What regular readers will make of this, I have no idea. I am not the most competetive, after all. Weirdly, I find a sort of calm focus in the heat of battle. It’s great to fish for a simple objective, over a simple time limit. No photo script or checklist, just catch what you can in five hours. Everything else goes out of the window- even the fact that haven’t eaten anything since 7am, or are utterly drenched (as was the case on Upper Tamar Lake, below). As with the rest of my fishing, I have no desire to be a world champion or get involved in bragging rights or pointless rivalries. I just enjoy fishing and good company- and that includes those I compete with. In fact, the Tiverton AC lads have been brilliant all season. Every match has been a story in its own right, from heatwave to blizzard conditions, and there is just the right balance of competetiveness and camaraderie. Everyone tries to find a little edge or two in the matches, perhaps, but there is absolutely no edge between anglers. Win or lose, you’re with mates. One of the best parts of regular match fishing is the prospect of finals and those special once a season occasions. Many fishing clubs have a cup final or similar event besides a league, and Tiverton AA is no exception. It certainly adds a bit of drama. It also adds the possibility of a cup win even if you fell short in the league. 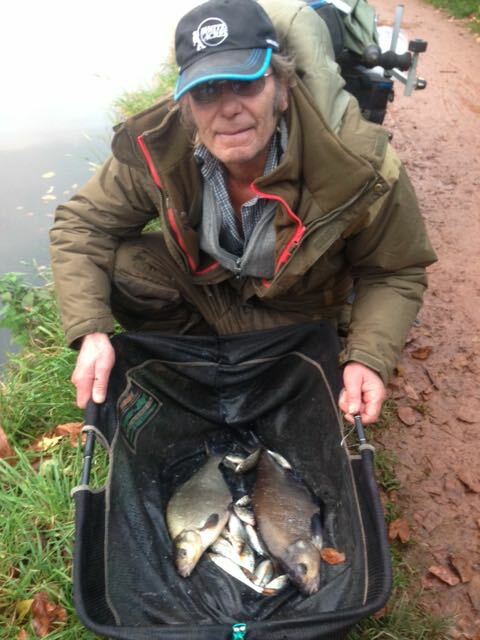 Personally, I was delighted to finish third, given the experience of the anglers around me. 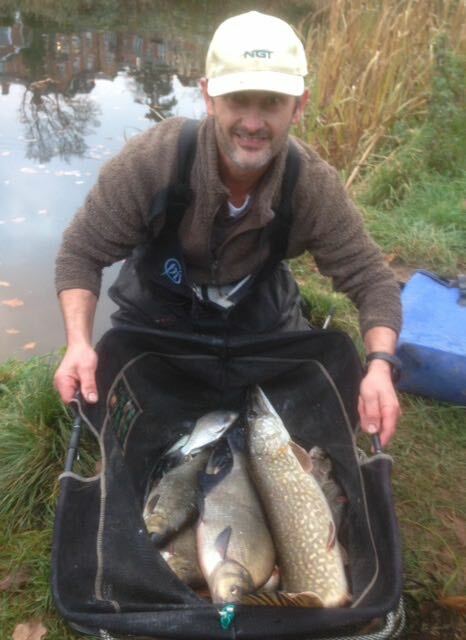 It had been a great season and finishing in the top 12 guaranteed me a place in the special final, held at Morchard Road Fishery, near Crediton (above). One thing match fishing in general teaches you is that it pays to be adaptable. You tend to generate a plan, but as often as not it needs adapting or throwing out entirely. Such was the case with this one. It had been a mild autumn, but the temperatures were freakishly low on the day. Frost coated the grass; the margin attack I had meticulously planned seemed about as likely as a swift Brexit. I still fed the inside, then, where the bottom dropped to three feet or so; but it just felt all kinds of wrong. In fact, other than an 11m pole line, the dead tree in front of me looked like the best bet. Feeling like the inside lines might need time to settle, I thought I would rig up a small method feeder and chuck it at the feature from the starting whistle. Good move, it appeared! Within five minutes the tip flew round. It happened another four times or so in the first hour, too. I Kept a few pouches of pellets going in to keep the fish feeding over the method line, too, while I kept trying the pole lines. They just never got going, to be fair. 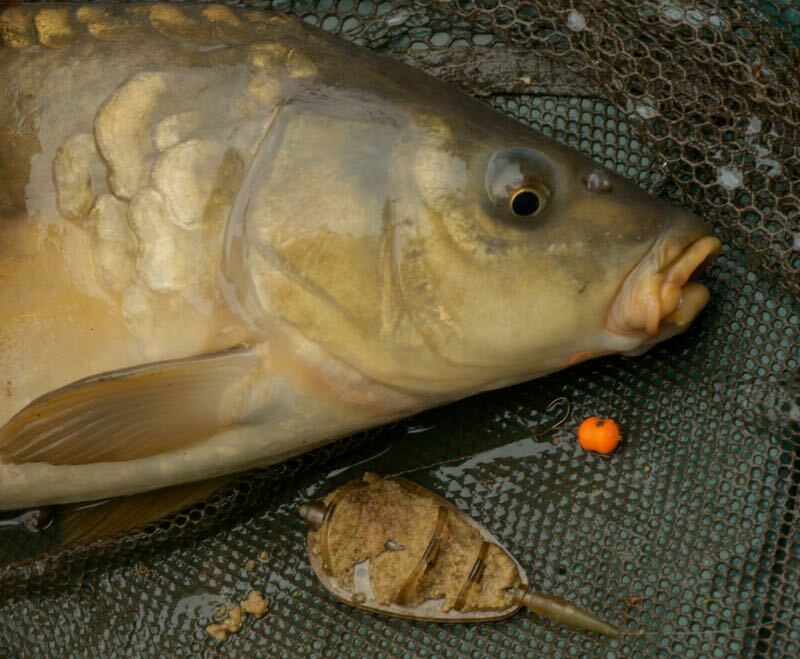 I had one pastie carp on the inside, but few other indications, let alone fish. Bruce Hunt, the only other angler I saw catching at a fair rate, was getting fish at a good 13m or so, too, which suggested the inside wasn’t worth wasting too much time on. Instead, then, I kep on the method and only looked on a longer pole line to rest things from time to time. It was looking good, too, with others struggling. The only other threat was my neighbour, Elliot Fay- the youngest of the finalists and a very talented angler. Having twigged that the feeder was the way to go he began hitting fish at distance and playing catchup at an alarming rate. Could I hold out?? At the final whistle, things had slowed, but I fancied I had about 35lbs of fish. Would it be enough? With 16.640KG I pipped Elliot by just 500g, but Bruce Hunt was the clear winner with 19.670 KG. I have no idea how he had caught so many fish on paste; an excellent catch on a bait few would have fancied after an overnight frost. Still, I was delighted with 2nd place in the cup final and a few extra notes in my pocket. A perfect way to cap off an enjoyable league. 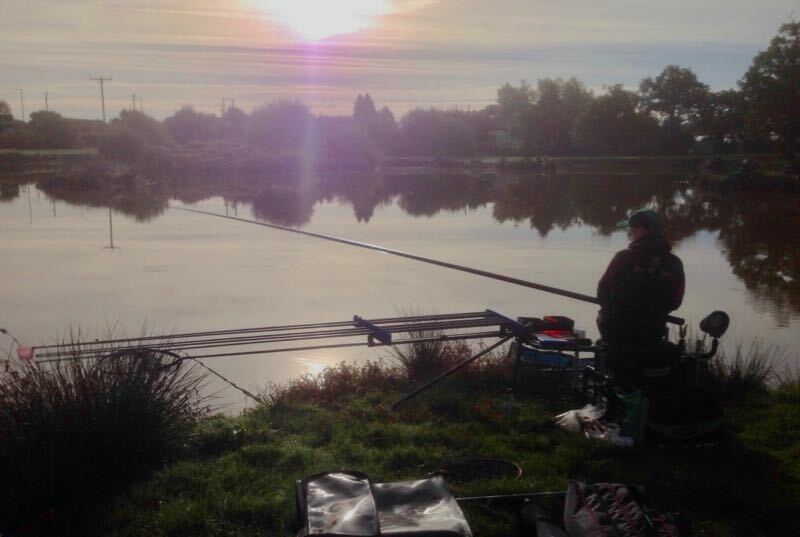 After a whole season of matches, I had steadily become a better organised, more refined match angler, full stop. 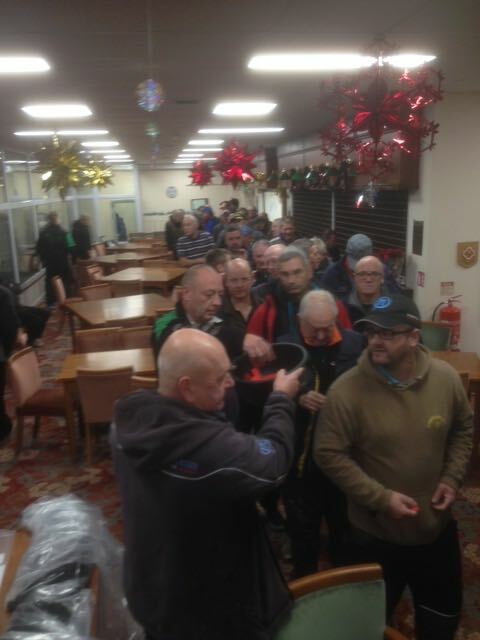 Perhaps this explained why hopes were high at the annual Tiverton Christmas match. It’s always exciting a great day. There were seventy-odd entrants this year, along with the crazy amounts of prizes. Could I draw a flier peg and perhaps even beat my best ever finish of 3rd place? 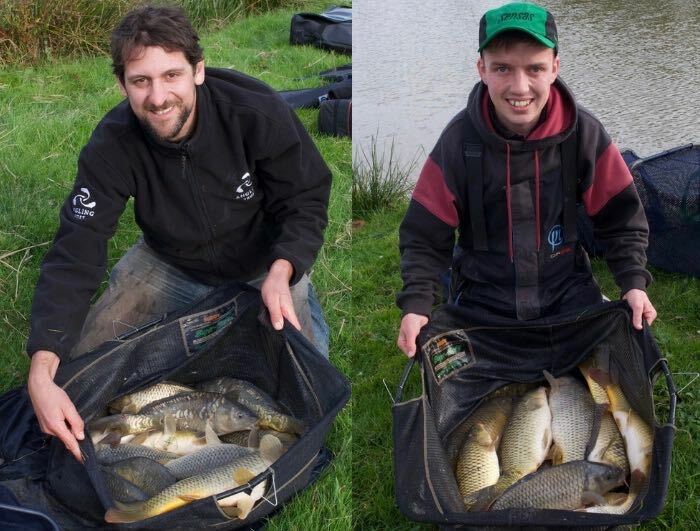 My recent effort on the canal had been in the pairs match with Eric Priest. We came third, largely due to his section win- although I managed to finish mid-section from my mediocre peg. Today I would need to pull my socks up! After the monster breakfast and the longest draw queue of the season, I picked out peg 4 (above). It looked alright, too. I would gladly have taken two or three pegs along in School Bay, but couldn’t grumble. I had plenty of space- and I also fancied the walled narrow end of the peg for some perch if things were hard. A cold easterly wind and cold temperatures the days before suggested it could be hard. In hindsight, I think this probably made me a bit too cautious. I fed four lines initially: A bread line at 8m in the central track, a short line at just top kit plus one and two chopped worm lines. The worm lines can be a distraction, but I always like to put some bait in and leave it, just in case it’s crap fishing and I want to scratch for perch or a jack pike. As things turned out, the start was fairly encouraging. I had no big fish early, despite trying a nice sized bit of punch on a size 16. 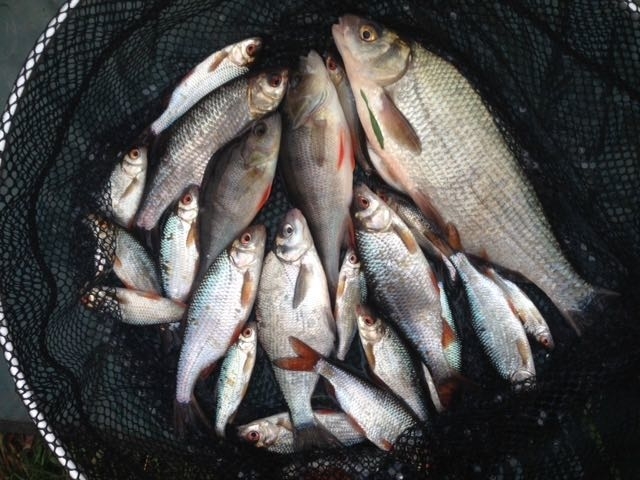 Around ten mostly small roach were in the keepnet though and I was grateful for them. Perhaps I should have fed harder, though, rather than just dropping in a 20p piece sized nugget every so often? By the mid point, I was struggling and it looked tight in the section. I fancied I had more fish than my neighbour on 3, John Lisle, but two of his were better “net” fish that were worth a fair few of my litle blades. The top 3 line was surprisingly biteless, so with only pairs of eyes showing down the middle, I kept trickling tiny amounts of chopped worm around and trying for perch. Surprisingly, that juicy looking “broken bridge” wall only produced one bite from what felt like a tiny roach. I probably wasted too much time trying- but no jacks showed up and all I could add with the worm were two modest perch. Hmmph. 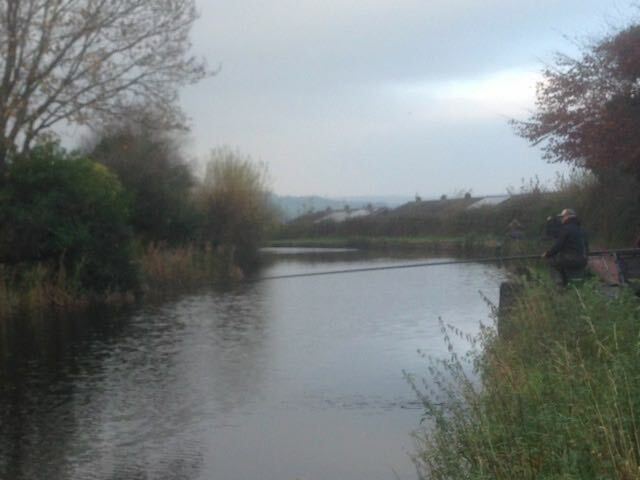 In desperation, I used all 13m of my pole in the last 90 minutes to feed a good ball of bread right down the peg, while going for broke with another helping and some pinkies on the main line. Almost immediately, I got a few small roach going again. Mostly little one ouncers, but a try on pinkie got the elastic going with a really strong fish- a hybrid of perhaps 12oz. In fact, the last 40 minutes it revived a bit- odd really, but probably further evidence I should have fed more generously earlier in the match. I normally figure this is a gamble on a cold, tricky day- but actually, if you’re too miserly you don’t always get the best from your peg. 1kg 200g was not too disgraceful on the day, but I was nowhere near the top in the end. I needed that net-filling fish, but it just wouldn’t come. Others had their own tales of so near but yet so far, too. Elliot Fay had made the best of a bad peg catching over 30 roach for mere grams; poor old Dave Sellick had tempted a tench on caster, only to lose it. This is the fun of these Christmas matches though- it’s always on a knife edge. Even if you’re doing poorly, a couple of bites can change everything. Phil Tucker (above) discovered this on peg one with only half an hour left in the match, in fact, netting two bream and third place! Having drawn poorly in the last couple of events, it seemed only fair he got some luck this time around. That said, none of us would get anywhere near the outright winner Mark Thorne, who had an incredible catch from the wider pegs at “School Bay”- that was deserved because of his positive approach. He’d had a so-so start on bread, but had also fed pinkie and groundbait. Switching to dead pinkie on the hook, it all turned around for him with a whole slew of skimmers, bream and roach on the pole. And as if that wasn’t enough, an eight pound pike grabbed one of his roach on the way in. 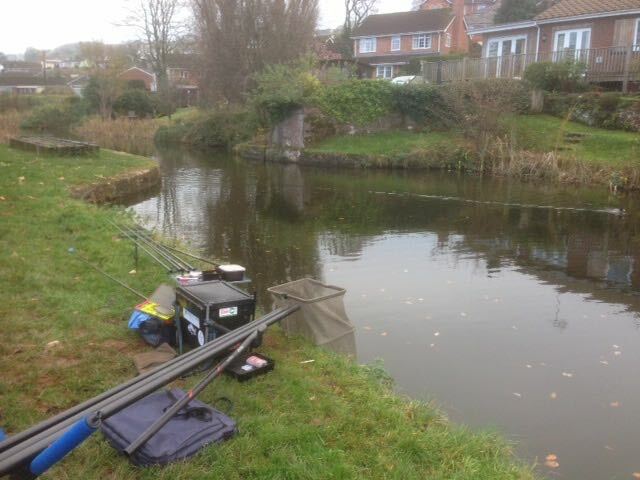 These fish count in Tivvy matches, so it was game on! After a merry dance of about ten minutes, involving stretched elastics and equally stretched nerves, he netted it to give his weight a real boost. 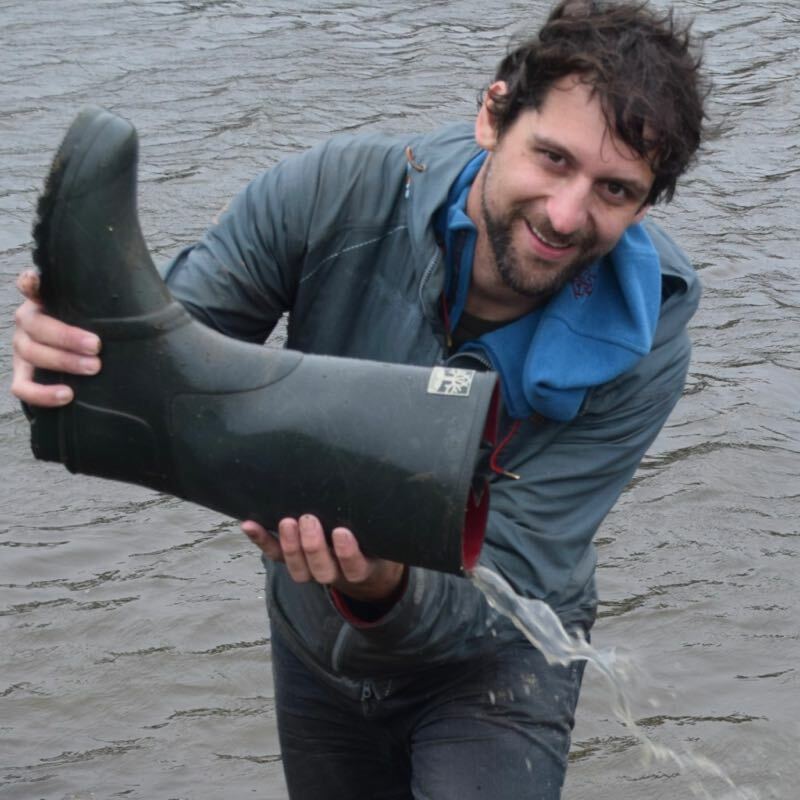 Credit also due to him for respecting his catch and retaining it carefully in a separate, well-staked out keepnet to avoid carnage with his roach and bream! A final weight of 9.350 KG is the biggest I can ever recall in the match. Otherwise, you can catch me in the Angling Times as per usual- look out for a special feature in the final issue of 2018 where I’ll be dishing out my own special 2018 Alternative Angling Awards. It’s sure to be good fun!